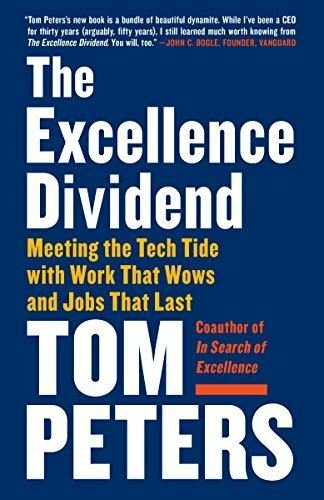 I have been posting about Centers For Teaching (CFT’s) as Centers for Excellence, inspired by my current reading of Tom Peters’ new book The Excellence Dividend: Meeting the Tech Tide with Work that Wows and Jobs that Last. I discussed Chapters 1-4 here and Chapters 5-8 here. This post deals with Chapters 9-12, which cover innovation and adding value. Peters noted that quality is a probabilistic function of quantity. In his book, In Search of Excellence, he had listed eight basics for excellence. His message for this Age of Google is that a bias for action is now even more important than ever. From my decade of experience in CFT’s, I have noted that the best had this bias for action. While I think VCU’s Center for Teaching Excellence was pretty good, I would hold up Vanderbilt’s Center for Teaching as a model. Derek Bruff’s team has continued to innovate over the past decade, suggestive that the culture at Vandy’s center is a culture of “trying stuff”…and Peters noted that a trying stuff culture, at its heart, requires playfulness. 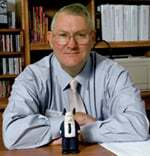 In our old Center at VCU, our leader, Jeff Nugent, was a champion of serious playfulness. Peters noted that play does not mean sloppiness. It means cherishing the damn good try that goes awry and from which one learns something of value. Chapter 10 discussed the notion that we are influenced by those with whom we hang out…so ensure that you hang out with a diverse group. One question Peters raised (which is very relevant for those of us in the networked learning world) is whether our extraordinary level of connectedness we have achieved through social media is true connectedness that can lead to breakthroughs. I have been an advocate of Personal Learning Networks (PLN)…but I also recognize that unless one works hard to maintain a diverse PLN, our social media environment can become an echo chamber of homophilous individuals with no true diversity of thought. Peters used a term I had not seen before – Connectional Intelligence (CxQ) – which is the ability to combine the world’s diversity of people, networks, disciplines, and resources, forging connections that create value, meaning, and breakthrough results. Peters noted that technology is an enabler for this…but that attitude and culture make up 90% of the effort required. Chapter 11 discussed a passion for design. Peters quoted Steve Jobs who said “Expose yourself to the best things that humans have done and then try and bring those things into what you are doing.” This is a great attitude for CFT consultants to carry forward…really listening to their clients and tapping into the best their clients bring to the table. Peters suggested that our craft should be spiritual…that we should leave something of ourselves in our work with faculty. The last chapter in this section was on the relentless pursuit of things going right. If quality is no longer the differentiator and the experience is what matters, then how do we as CFT consultants go “above and beyond”? Peters provides a series of stories of above and beyond service, such as the airlines staff that cleaned passengers eyeglasses before landing, or the restaurant owner that personally hailed cabs on a snowy night for customers. As I read these stories, I was reminded back in our old Center of Jeff Nugent’s branding of us not as online specialists, but rather as “Consultants for Life.” The concept of Consultant f0r Life certainly resonated with the faculty with whom I had the pleasure to work…and the relationship becomes something different. I left VCU four years ago…but I still get emails from some of my Consultees for Life! Many in higher education are attempting to forecast the future of the institution, but I cannot help but think that CFT’s are uniquely positioned to help drive that future. CFT’s have as a core mission the improvement of teaching and learning…and I would add that in these changing times, survival is part of improvement! To use some of the points Peters’ quoted from Tom Liacas’s Social Survival Manifesto, hiding is not an option, we really no longer control the message, and we need to do a better job listening. Success involves collaboration and paying it forward. Peters also listed some of Nilofer Merchant’s 11 Rules for Creating Value in the Social Era, which included connections, collaboration, and treating consumers as co-creators. 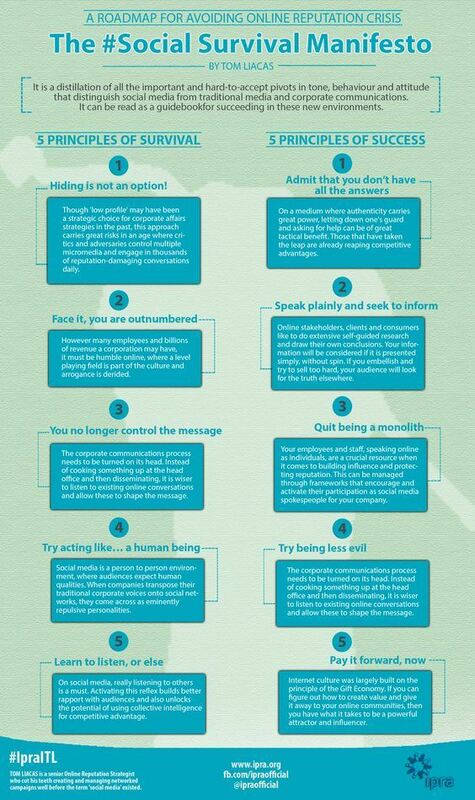 Good lessons for CFT’s! The final section of The Excellence Dividend involves leadership excellence…the topic of my next post.